A native and resident of Mobile, AL died on Monday, April 8, 2019 at the age of 78. Mr. Neece’s passion was working and providing for his family. He was also a great story teller. 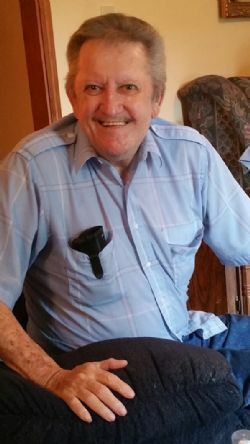 He is survived by his wife of 60 years, Joan Neece; three children, Kim (Rick) Vanderbilt, Kevin (Kimberly) Neece and Karen (Eddie) Young; six grandchildren, Kevin, Brittnee, April, Brandyn, Gage and Bradley; three great grandchildren, Hunter, Carter and Emersyn. Visitation is scheduled for Saturday, April 13, 2019 at 1:00 PM from Mobile Memorial Gardens Funeral Home followed by graveside services and interment at 2:00 PM in Mobile Memorial Gardens. A chapel service will be held at TIMEpm on DAY, MM/DD/2019 from Funeral Home, followed by a committal service at the grave site. Daddy, I love you more than words can say. You were my rock. You always believed in me. You made sure we always had the best in this life. You taught me how to fight for what I believed in. You were so funny and I will forever miss your jokes and hearing you say “I love you, kid!” I wish I could have just one more day with you. One more day, to tell you that I love you and appreciate everything you did for us. I love you, Daddy.